Button button who's got the button, ohhhhhh waaaaaaaait I do! Welcome back for some more Thrifty Love. I finally got the button done for this party. Snag it if you like! Yeah that's my Royal typewriter that I of course picked up at a thrift store. Only, I can not figure out how to get the carriage to move the entire way across. It's like it has a lock that is only allowing it to go about 4 or 5 inches. Anyone know? Cause that would be awesome. Do you know how hard it is to find typewriter repair now days? 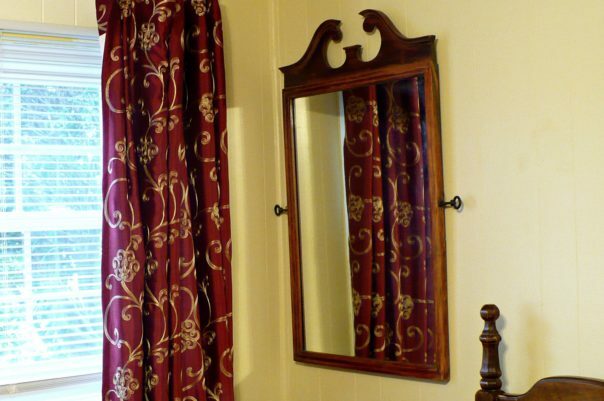 Last week The Cultivated Nest linked up some things found for her daughters room including this great mirror that she scored for FREE! Wow! 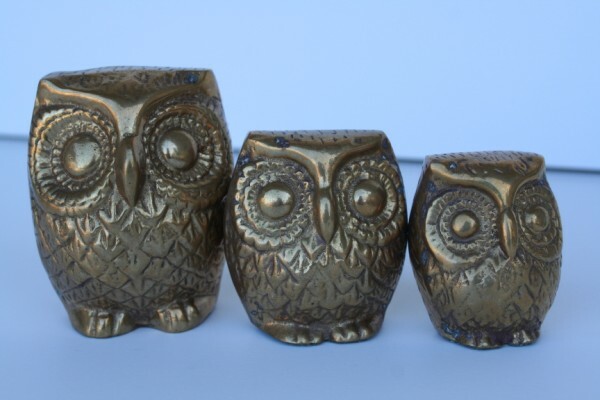 I picked up a few things including these great brass owls. You know you like them! A Quaker limited edition tin dated 1984. 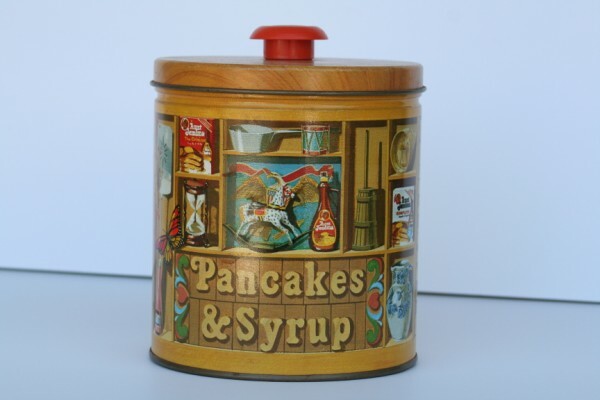 Love the handle on the lid. It's pretty neat in all it's vintage glory but I am tempted to do a makeover on it. 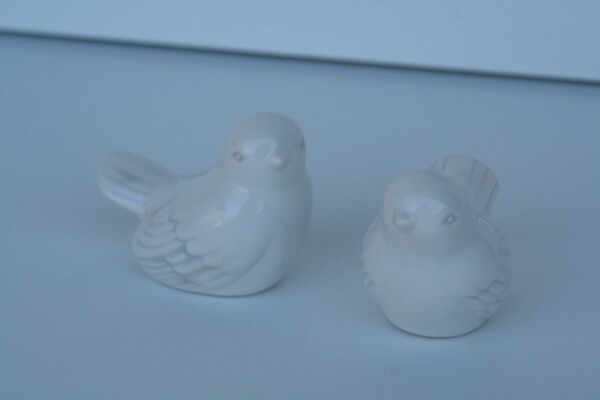 And these lovely little bird salt & pep shakers. That's all I got! How about you? What did you find? Thanks so much for featuring my thrifty finds. I was really excited to find that mirror in my neighbors trash! Great finds, I love little birds like that. Great to put out this time of year too ;) new follower. The owls are adorable! And the sweet little white birdies, too. Love the owls! Great finds. Love that tin!! We love pancakes!! Thanks so much for your great comments! Love reading them! Those are all wonderful treasures. Perhaps the margin tab is hung on the typewriter and will not allow it to move. I am just talking. ACK! I can remember there being margin lock keys back in the prehistoric days of my existence when my mom had old manual typewriters - I'm thinking if you lift up the top they should be there, that's where you set the margins??? I think? Sorry, I know I knew the answer at one point. Good luck to you! Such cute thrift finds! I love that in!